The solid built CR-10-S4 offers an LCD screen and a SD card reader for a simple user interface. 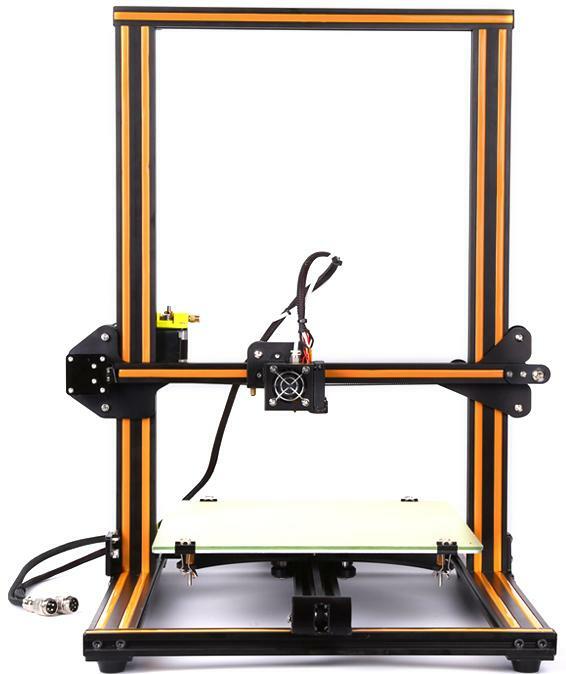 This large-volume 3D printer is compatible with Cura, simplify3D and Repetier Host slicer software. It offers a massive 3D print size. 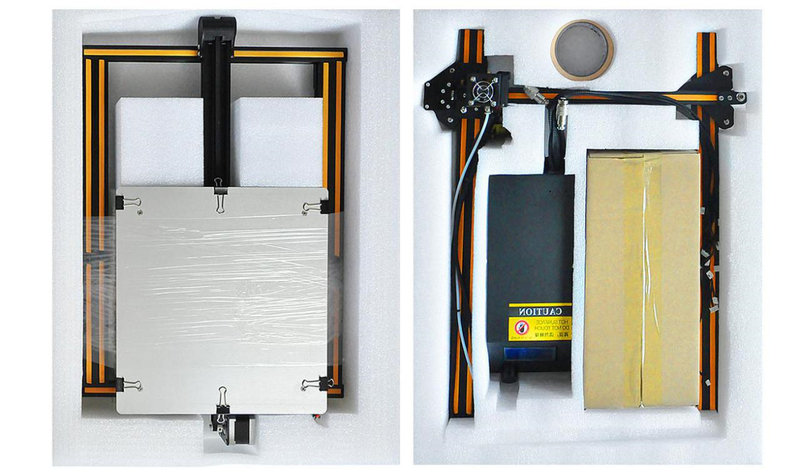 The Creality CR-10-S4 has an open frame and a heated 3D printing bed. Furthermore, the solid built CR-10-S4 offers an LCD screen and a SD card reader for a simple user interface. This large-volume 3D printer is compatible with Cura, simplify3D and Repetier Host slicer software. The nozzle diameter default size is 0.4 mm on the CR-10-S4. Creality offers an extra 0.3 mm diameter nozzle for free. Its large building volume (400 * 400 * 400 mm) and its solid frame structure makes it perfect for additive manufacturing of prototypes and limited lot production. Note: This 3D printer is semi-assembled. Simply put frame parts together and connect some wires, no complicated tasks have to be done. In about 30 - 60 min you will be ready for manufacturing your first object. 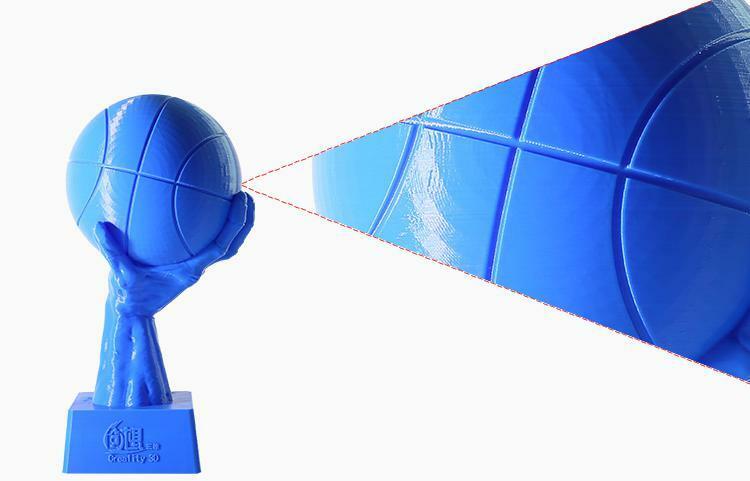 We recommend using PrimaVALUE, PrimaSELECT or EasyPrint filament for best 3D printing results. 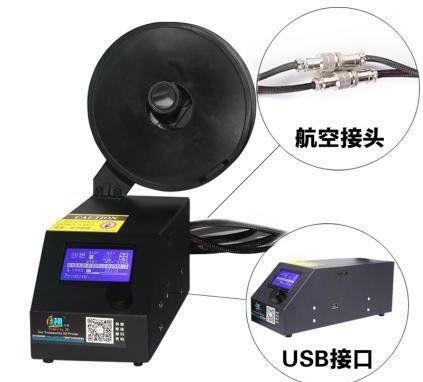 Filament Monitoring: There is a filament sensor attached to the extruder. Once it detects a lack of filament, it will alarm and stop 3D printing. After reloading filament, it will continue 3D print. Dual Z Rod Screws & Motors: It is different from standard CR-10. There are two Z axis screw rods and motors on this 3D printer. This offers a much more stable performance. 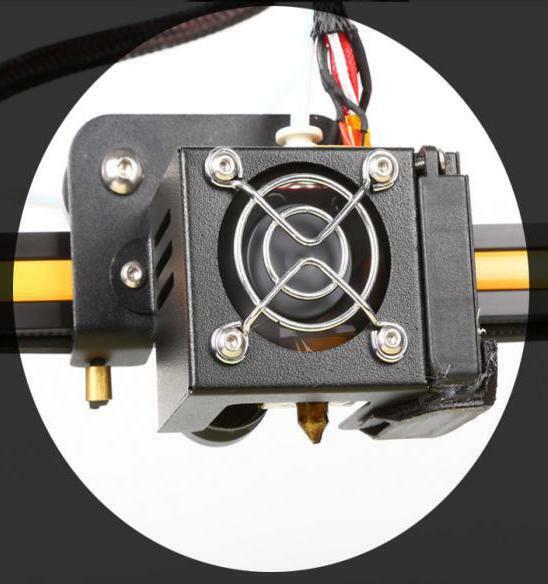 Dual Lead Screw design will stabilize the device on larger, tall 3D prints. 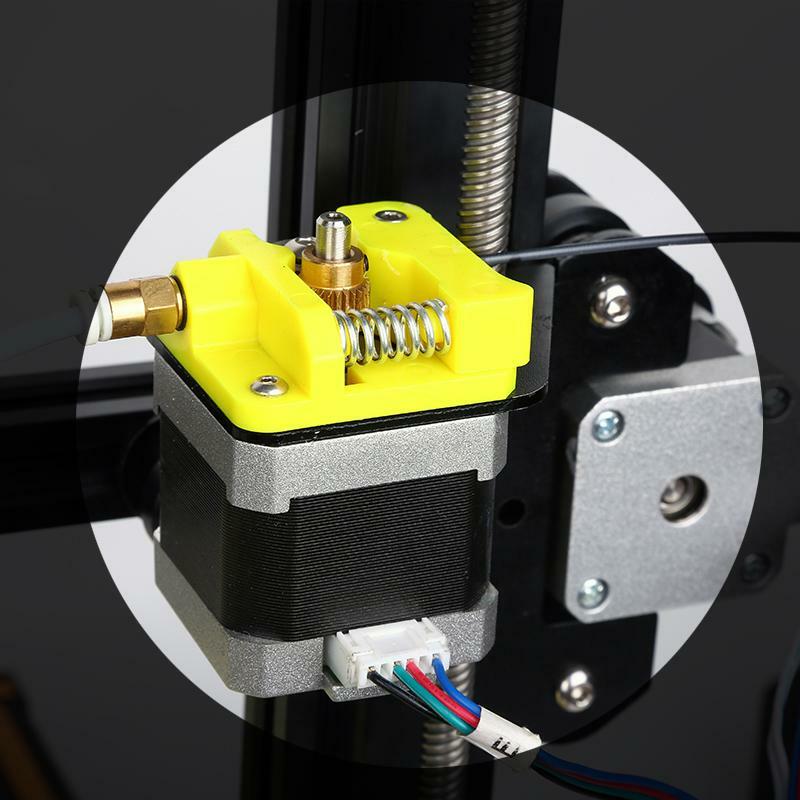 CR-10-S4 has now Dual Z Lead upgraded screw kits to ensure the perfection and stability in manufacturing. It leads to higher precision results. 1. Super huge manufacturing size for a competitive price. 3. 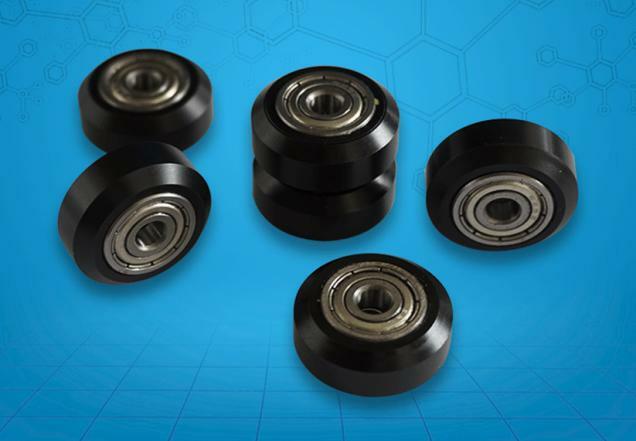 Patent Technology for XYZ Aluminum V-slot Bearing to make it run smoothly and get higher quality product. 4. Delivery with three sets, just need 10 minutes to assembly, solve the problem of high freight. 5. 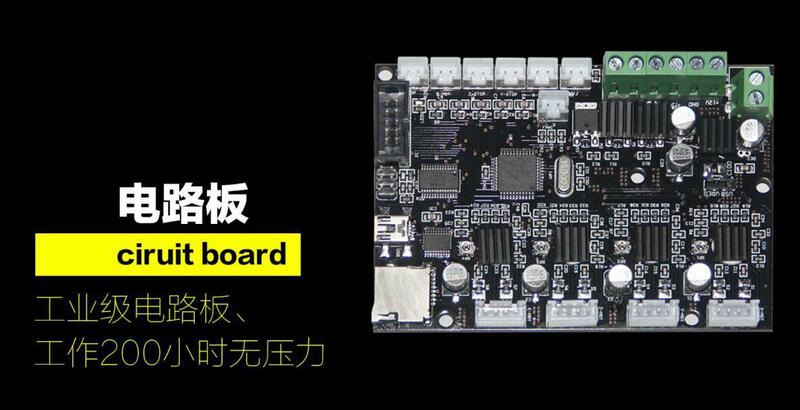 Industrial-grade PCB can continuously 3D print for 200 hours without pressure,but with matures printing technology and stable performance. 6. Patent MK10 nozzle extrusion structure can produce almost all printing material on the market without plug. 7. 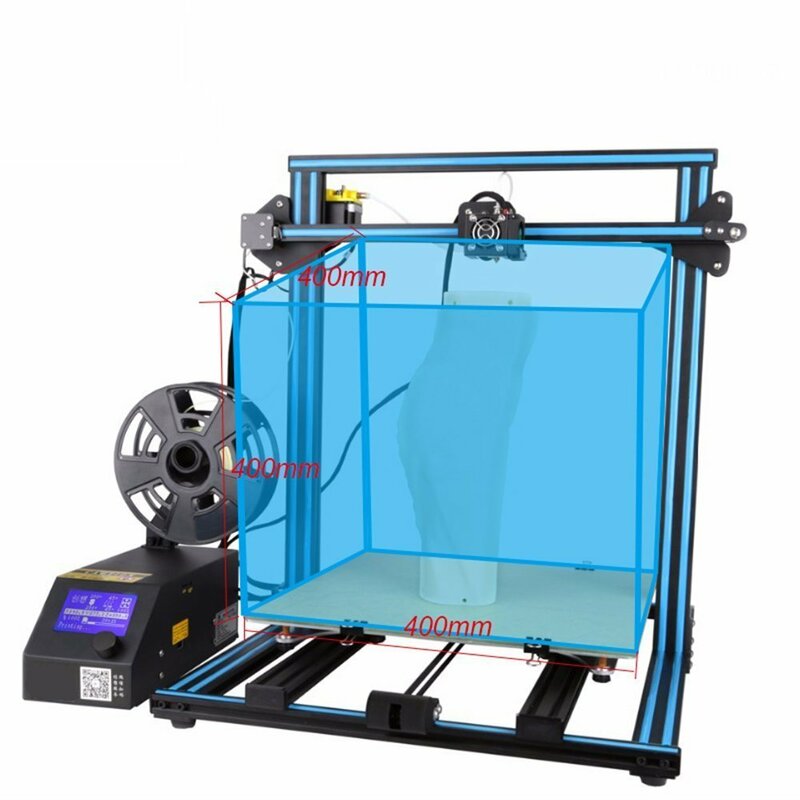 Electronic control host was separated from the 3D printing body, in order to meet the needs of refitting printing size to various specifications according your imagination. 8. 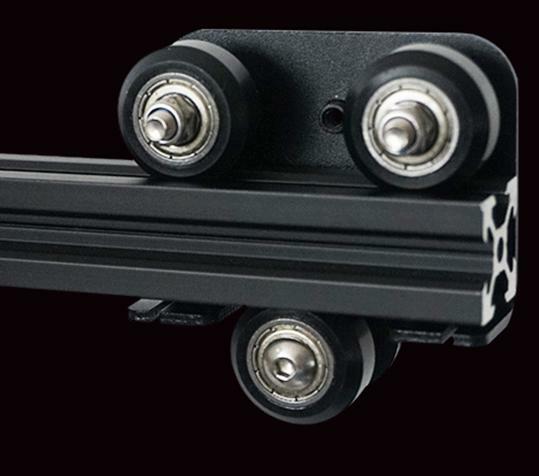 High precision imported Aluminum V-slot Bearing + precision roller with high positioning accuracy, move smoothly , 3D print faster. Buy the Creality CR-10-S4 and you will get a very solid large 3D printer with a massive print size. PLA, ABS(small prints only), and similar materials.